Race news/results: we’d love to feature your race report on the website – just write a few paragraphs to sum up your race (latest from John Broaders on DCT). Email media@belparktri.ie. Other: David Power was 4th in Quest Achill adventure race. 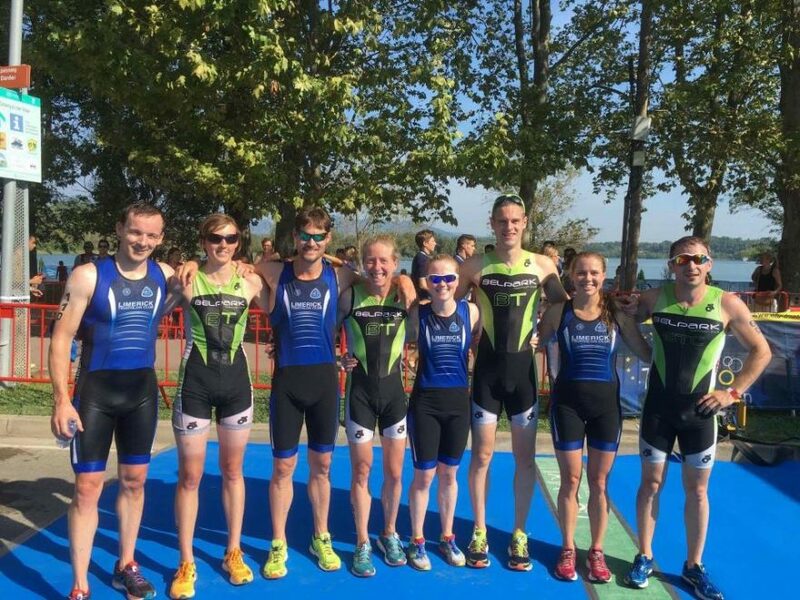 Let us know if you took part in Tri an Mhí; Connemara Tri, Pulse Junior Pool Aquathon; Stena Line Sprint; Lough Key Tri. Other results: huge congratulations to Lisa Jacob and Nikki Dorey who completed a massive achievement of Cycling Around Ireland, over 2,000km non-stop in 5 days. All in aid of Suicide or Survive charity. Training news: UCD swim blocks are on sale, with a new discount for 2 weekly swims. Terenure Wednesday evening swims are open to all levels, focusing on technique. Social event: the rescheduled Belpark Bondi Rescue Relay will take place on Sept 10 in Greystones South Beach. There will also be a post event bbq. Details to follow. Members Survey: we want to hear your opinions, so please respond to our members survey before it closes on 6-Sep. Check out our latest club development update news. Please refer to the Training section and the Google Calendar (left side of screen) for more info. Club members also organise unofficial training sessions which take place on a regular basis e.g. bike intervals/spins and midweek open water swims. The club takes no responsibility for any of these sessions. Post on the discussion forum with any queries. Hi, I took part in Tri an Mhí yesterday, weather was brutal, non stop rain. Probably most enjoyable swim I’ve had. Water was crystal clear and even tasted like fresh water compared to the Bressie Iron Mind and Lanesboro lakes which tasted awful and had an unpleasant odour. Didn’t see any other Belpark member. Definitely doing the Olympic distance there next year. Philip Blake.